Sold out. Production of this item is scheduled to resume in late 2017. 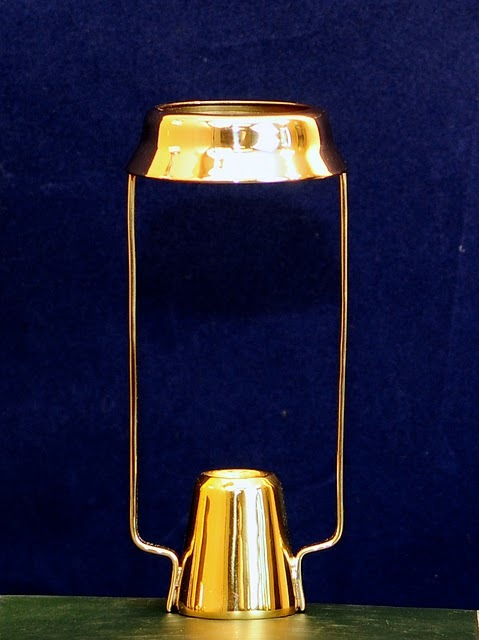 Cast of solid brass and weighing 3.4 oz, this carrier is intended for use on straight sided 7/8 inch diameter candles. It stands about 5-1/4" tall and has a top opening of 1-5/8". The brass is lacquered to help maintain a beautiful shine. Also available in our silver and pewter finishes. NOTE: Candle shades and Shade Carriers are sold separately here, but are also available as a set. Candles and candle holders not included. These are my first shade carriers and they work beautifully! The quality of this item is terrific-- very sturdy and durable. Great value! I discovered that the brass carrier also works well with silver-tone candlesticks.